Aged 54, Gustavo Jorge Buonomo is a former YCW leader from Argentina, who has known Pope Francis for many years. Buonomo, who is now director of catechesis at the St Pius X diocesan seminary in the Diocese of Morón, also lectures in biblical studies and has written a book “Encuentros entre Mates y Caminos”. He is also academic coordinator of the Christian Education Open Studies Centre of the Buenos Aires Salesians. 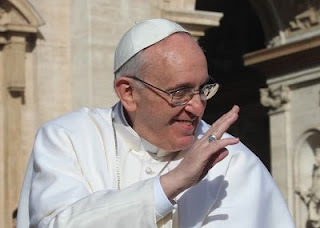 “I met Fr Bergoglio in 1979 when I wanted to study in the Jesuit Philosophy and Theology Course in the City of San Miguel in Greater Buenos Aires,” Buonomo told El Municipio. “At that time, the course was only open to seminarians and religious congregations of men. I had an interview with Fr Jorge Bergoglio who then superior of the Jesuits in the province. In consultation with the YCW, I decided to complete my training. “At that time, the YCW was organised in clandestinity. The movement had been very active in that decade until the beginning of the dictatorship, but persecution of activists and leaders of the movement began by the end of 1975. “There was a raid in the YCW movement of Buenos Aires and other provinces, which led to the kidnapping and disappearance of the National YCW Advisor, Jose (Pepe) Palacios. “It was the first time that the movement had a lay chaplain and it was not welcomed by the church. The bishops replaced him with a set of three ecclesiastical advisors, who were active in various provinces. “The circumstances were difficult. I remember in that interview that he knew about my participation in the YCW and he warned me that I should not disclose my membership in the movement because the intelligence services closely monitored the faculty and he also suspected that there were some infiltrators. “After I studied that year, the Jesuits were forced to close opportunities for the laity,” Buonomo said. José ‘Pepe’ Palacios was international collaborator for the IYCW when he “disappeared” in December 1975. University YCS (JUC) leader Daniel Bombara “disappeared” the same month. Also killed by the military in 1976was Bishop Enrique Angelelli, who founded the YCW in the Cordoba diocese and later became bishop. He took part in Vatican II. Fr Bergoglio also worked in the Cordoba diocese for several years after returning from studies in Germany. YCS chaplain Fr Carlos Mugica was also killed in 1970. Article updated and translation improved 1 April 2013.